From Mediaite: It looks like there’s going to be a change for American families looking to adopt, at least regarding Russia. 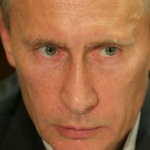 Mediaite reports, “Russian President Vladimir Putin said Thursday that he is prepared to sign a law which would prohibit American parents from adopting Russian children. According to the New York Times, there are more than 740,000 parentless children in the Russian Federation, but only 18,000 are awaiting adoption. Since 1999, 45,000 Russian children have been adopted by American parents. 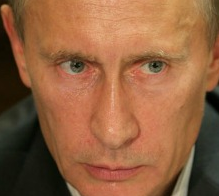 Putin… told an audience at a televised meeting on Thursday ‘I still don’t see any reasons why I should not sign it.’ 46 children who were to be adopted by American parents must now remain in Russia while the law is awaiting the president’s signature.” Read more here. From Gossip Cop: There’s been a celebrity wedding! 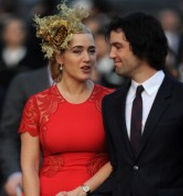 Kate Winslet got married, to be exact. 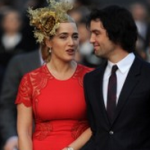 Reports Gossip Cop, “Kate Winslet and Ned Rocknroll have wed, Gossip Cop confirms! The two tied the knot in New York ‘earlier this month in a private ceremony attended by her two children and a very few friends and family,’ her rep tells us. The couple, who began dating in the fall of 2011, had been engaged since the summer. Winslet has been married twice before, to filmmaker Jim Threapleton and director Sam Mendes, the father of her two children. This is the second marriage for Rocknroll, the nephew of Richard Branson. Congrats!” Read the full story here. 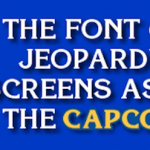 From Geekosystem: Ever wanted to be on Jeopardy? 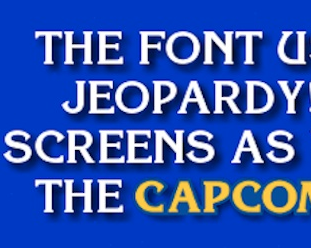 Geekosystem’s Ian Chant is making it a reality for you: “If there’s one thing watching Jeopardy! over the years has taught me, it’s that Jeopardy is super easy, and I would totally win if I ever got the chance to play, just as long as I was playing against members of my immediate family and none of those occasional Bible question categories came up. In other words, I would totally win Jeopardy! Soon, though, I’m going to put my money where my mouth is and try out — again — for the best game show America has to offer. You can too, if you decide to pit your wits against millions of contestants from across the country and the globe vying to be the next person going ‘Seriously, you guys, I don’t think this buzzer is working!’ in front of a live studio audience. Think you’ve got what it takes? You can prove it online next month.” Read the details of how here. From Styleite: How has the ever-fabulous Beyonce spent her Christmas week? Styleite has the answers: “For all of her Vogue cover-landing, documentary-making, and hair trend-starting, Beyoncé is still a total mom. How do we know? Well, even Bey can’t resist sharing photos of daughter Blue Ivy, whose first birthday is coming up in less than two weeks. Yesterday she uploaded two such snaps to her I Am Tumblr, one with just the baby’s foot, dated September 7, and another aboard what is sure to be a very fancy boat. Also, even the pop star had some last minute shopping to do this holiday season. Page Six reports that she was spotted with hubby Jay-Z out at Bergdorf Goodman and Mary Arnold Toys on Christmas Eve, where we’re sure any remaining crowds parted ways and bowed down before them.” Read more and see the pictures here. From SportsGrid: With all the basketball madness this week, it’s easy to forget about college football. But SportsGrid is keeping you up-to-date on the beginnings of bowl season. Writes the site, “There was a bowl game last night. 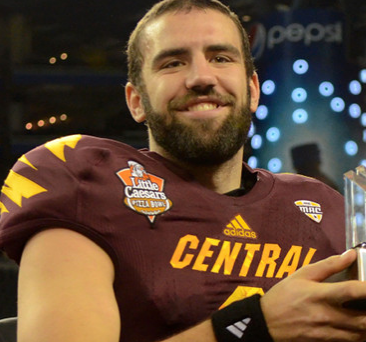 In it, Central Michigan edged Western Kentucky 24-21. Next up for the Hilltoppers: the Bobby Petrino era. We’re very curious to see how that goes. And we’re also curious to check out today’s bowls: the Military Bowl in Washington, D.C. between San Jose State and Bowling Green at 3:0) p.m. Eastern, the Belk Bowl in Charlotte between Cincinnati and Duke (yep, Duke’s in a bowl) at 6:30 Eastern, and finally, the Holiday Bowl in San Diego between Baylor and UCLA at 9:45. Bowl season’s heating up, folks. Enjoy it.” Read more about what happened yesterday in sports here. From The Mary Sue: Forbes has released their most bankable actors of 2012 list, and two females lead the list. Reports The Mary Sue, “Like them or not, Natalie Portman and Kristen Stewart have one good thing going for them, at least as far as the production side of making movies is concerned: According to Forbes’ annual list of ‘Hollywood’s Best Actors For The Buck,’ they’re the two most bankable stars around. To compile their annual list, Forbes ‘[looks] at the last three films each actor starred in over the last three years that opened in more than 2,000 theaters, calculating the return on investment for the studios who pay his (or her) salary.’ [Stewart is] still the second-best investment for studios: For each dollar she’s paid, she returns $40.60. The last three films by Natalie Portman, who topped the list, made $42.70 for every dollar the actress was paid. Compare that with most overpaid actor Eddie Murphy (again, according to a list by Forbes), whose last three films took in $2.30 for every dollar he made.” Read on here. From The Jane Dough: Yesterday was the day after Christmas. However, it was also Boxing Day. 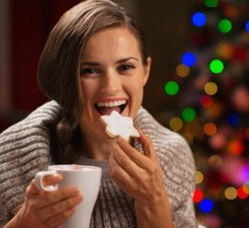 The Jane Dough’s Colette McIntyre takes a look at the lesser known holiday: “Poor December 26th. I mean, no one ever asked you if you wanted to follow the most wonderful time of the year; if they did, you probably would’ve wisely refused. How does any one date compete with gift giving, stop-motion TV specials, carols sung by Nat King Cole, and themed Muppet movies? …May I present to you, Boxing Day. 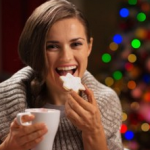 This day-after-Christmas holiday is celebrated by most countries in the Commonwealth, despite having unclear origins. Boxing Day doesn’t have a huge cultural presence in the US, unless you count that one Monty Python-addicted, ‘Oh, you’ve only seen the American Office?’ guy who annually posts Boxing Day statuses on Facebook despite living in New Jersey – but that doesn’t mean that it can’t.” Read more about the holiday here. From The Braiser: What happened on Top Chef: Seattle last night? The Braiser fills us in on some nasty behavior: “Well, that was uncalled for. After a rough night at the roller derby, where cheftestants got to watch their Elimination Challenge inspiration compete, Josie promptly passed out on the couch back at the house while competitors took to venting about her. Sadly, the sleeping monster wasn’t quite done yet, and lumbered to her full height to fight back. On the one hand, homegirl’s got a point — you can’t really start bitching about her ‘in secret’ when she’s right next to you. On the other hand, oh my god, Josie, you’re at a ten and we need you at like, a two. But, of course, in the “I’m a strong confident woman who knows exactly who she is” part of her defense, she couldn’t resist calling Micah out.” Read more about what happened here.